Mosquito netting has a long history of offering protection against mosquitoes and other insects that spread disease. 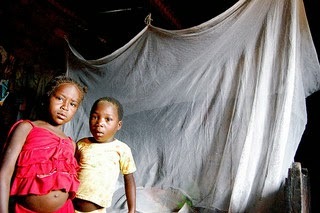 A mosquito net gives the sleeper shelter against mosquitoes and other insects that spread disease such as Malaria. ﻿﻿Malaria is a mosquito-borne disease caused by a parasite, 90 percent of all malaria deaths occur in sub-Saharan Africa and 77 percent occur in children under five. About 40 percent of malaria deaths occur in just two countries: Nigeria and the Democratic Republic of the Congo. Malaria is a life-threatening disease caused by parasites that is transmitted to people through the bites of infected mosquitoes. People with malaria often experience fever, chills, and flu-like illness. Left untreated, they may develop severe complications and die. In 2010 an estimated 219 million cases of malaria occurred worldwide and 660,000 people died, 91% lived in the African Region. In 2012 malaria conditions slightly improved, there were an estimated 207 million cases of malaria in 2012 and an estimated 627 000 deaths. Unfortunately, 90% of all malaria deaths occur in sub-Saharan Africa and 77% occur in children under five. Malaria has been the number one reason for health center visits in Benin for the last decade. Severe malaria kills 1,500-2,000 Beninese children every year and causes anemia in most children. 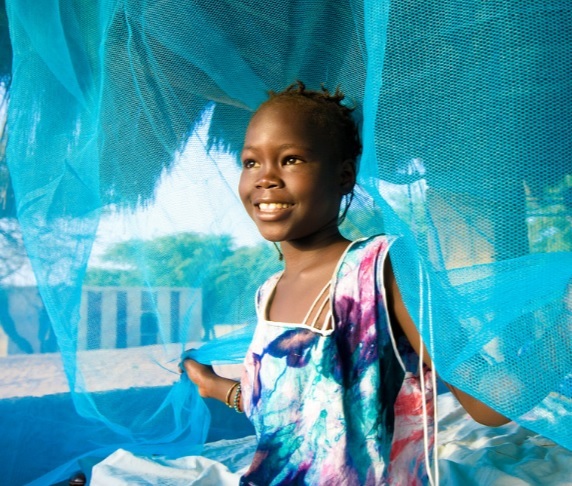 Since 2008, through the President’s Malaria Initiative, the US distributes over 3 million bed nets. There are 52 countries are on track to reduce their malaria case incidence rates by 75% by 2015. However, these 52 countries only account for 8 million of the total estimated malaria cases. In order for progress to be made against Malaria in the 18 most affected countries, which account for an estimated 80% of malaria cases national government funding for malaria programs needs to increase. About 40% of malaria deaths occur in just two countries: Nigeria and the Democratic Republic of the Congo. From 1990-2015, the Millennium Development Goals 25 year project provides a framework for the entire UN system to work together towards a common purpose. The UN Development Group (UNDG) ensures that the Millennium Development Goals (MDG) remain at the center of those efforts. Malaria and other disease prevention is goal #6 under the UN MGD’s.